Frustrated with a late talker’s progress, or more honestly, lack of progress? 1. 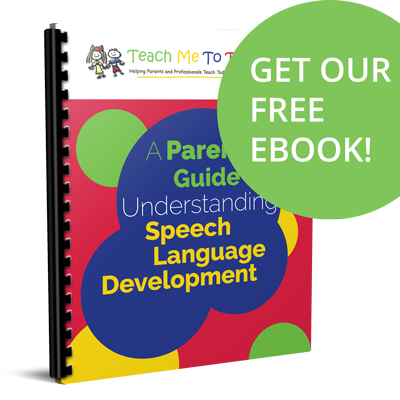 The child is not developmentally ready to talk yet. be socially connected to others meaning a child is super interested in responding and initiating interaction with lots of different people. Communicating always takes at least two people! My book Teach Me To Play WITH You will teach you how to break down simple games and play routines to help toddlers become more engaged and respond to others. understand how the world works well enough yet to explore his environment, make associations, and solve problems. With young children, this can be measured best by analyzing how he or she plays. Can a child operate a variety of toys? Is she interested in new toys? demonstrate communicative intent by using gestures like waving, pointing, or shaking his head for yes/no to let you know what they want, even before they can talk. understand language well enough to consistently respond to you, follow familiar directions, and identify common objects, people, and events. If a child doesn’t understand words, he’s not going to use those words to communicate. My course Early Speech-Language Development: Taking Theory to the Floor walks you through this hierarchy with TONS of video clips of therapy sessions with toddlers and families. If you’d like more specific advice (and great activities!) my book Let’s Talk About Talking reviews the 11 skills all toddlers master before words emerge. 2. The child does not imitate. Before kids talk on their own, they repeat the words they hear you say. Actually, imitation is how all of us learn everything, not just language. In my experience, this is the missing piece for many late talking toddlers. When we look at their overall development, they don’t imitate in any area as well as they should. We strengthen this skill by teaching them to imitate nonverbally first. In the show I reviewed the levels of verbal imitation. For ideas and direction for helping a toddler learn to imitate, check out my book Building Verbal Imitation in Toddlers. For therapists, I highly recommend the CE course Steps to Building Verbal Imitation Skills in Toddlers. 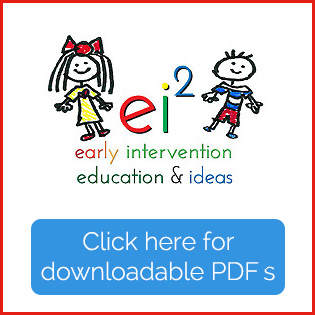 You’ll never treat expressive language delays the same again! 3. YOU are not being purposeful enough in your techniques. Listen to the show for a discussion of what you should be doing, but bottomline, you have to be consistent, repetitive, and persistent! Sometimes therapists work on too many goals and our efforts appear to be scattered (because they are!) 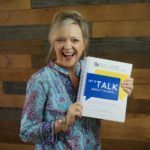 Teach Me To Talk: The Therapy Manual outlines goals and activities for both receptive and expressive strategies. Take a look at that if you need help with organizing your plans and sessions. 4. YOU are using the strategies out of order. Model to teach a child to imitate new words. Once a child is imitating, offer choices OFTEN! Withhold to make those easily imitated words spontaneous. Sabotage to help a child learn to initiate communication. If you need additional advice, scroll back up and listen to the show!